Most individuals pay for their college education with the help of student loans. Most individuals pay for their college education with the help of student loans. While student loans are extremely helpful in paying your expenses while in college, paying them back after graduation can be difficult. There are subsidized loans which have proven to be more affordable; however, they still accrue interest. One way to start your career with a clean financial slate is to finance your college education without applying for student loans. “How is this possible?” you may ask. Well, there are various options to use in paying for your education. Paying for college without loans is possible through scholarships, financial aid, grants, and other helpful opportunities. • Save as early as possible- While planning early for your college education--before you actually have any money--can be a bit difficult, saving as early as possible can help you avoid taking out student loans. If your parents give you an allowance while you are still in high school, try to open up a college savings plan such as a 529 account and put the money you save from your allowance into that account. Try your best to contribute monthly. It doesn’t matter whether you contribute $10 or $25 a month, any amount put into it serves as an investment which can be used to fund your college education. In addition, it would be helpful to search for other educational plans offered by your state. Some states may allow you to pay for college in advance at the current tuition rates, saving you from paying increased tuition fees when you finally go to college. 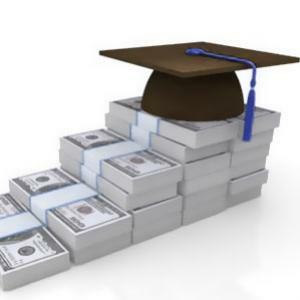 • Pay for college using the money you have saved- If you have savings accounts, are keeping a money jar at home, and have other investments, use that money to pay for your tuition and/or other school expenses. • Consider looking into grants- Every college student should consider looking into grants, since it is one of the most helpful ways to pay for college without accruing debt. Grants allow you to go to college without having to repay the costs. Different, grants, however have different terms and conditions, so, it is best that you inquire about them at the financial aid office of the school in which you are interested in attending. If the college you choose does offer federal grants, then you will be given a Federal Application for Student aid and provided a list of the documents that the college will require from you. • Look into scholarships- There are various scholarships out there for which you might qualify, so make sure to look into those. You can simply use the Internet to search for scholarships for which you can apply or visit the websites of the colleges or universities you wish to attend and check out the scholarships they offer. • Apply for a job- Some students find it difficult to attend college full-time while working, so, those students choose to go to school part-time and work full-time instead. If you are interested in working, it might be easier for you to attend community college --maybe for the first two years--and then transfer to the four year school of your choice when you have finally saved enough money. Some schools also have work-study programs, so inquire about these with your school. If they do offer these programs, make sure to register for one. • Apply at a company offering tuition assistance- If you consider working while going to school, try to apply to a company that will aid your education. If you are looking for work, do not forget to inquire about this with human resources when you are hired. If you are considering applying for a part-time or full-time job, be aware that some employers conduct a credit check. If you need this opportunity so you can afford to go to school, it would be best to order your credit score and report, prior to applying for employment. Carefully examine your credit report and fix any issues that may be affecting your credit score. Having a good credit report and score will help increase your chances of getting hired and landing an opportunity that can help pay for your college education. When applying for grants or financial aid, do not rush when completing your application forms. Do not leave out details and make sure to include information which could make your application stand out. If all else fails, do not be let down. You can still seek the help of family members and relatives who may be willing to help pay for your education or provide you a loan without interest. Page loaded in 0.219 seconds.